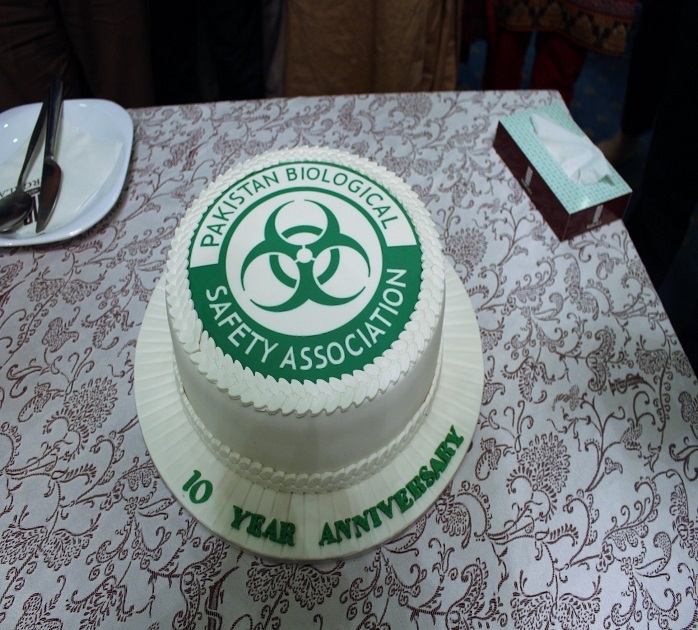 Pakistan Biological Safety Association celebrated 10 year anniversary during the fourth day of Master Trainer workshop. 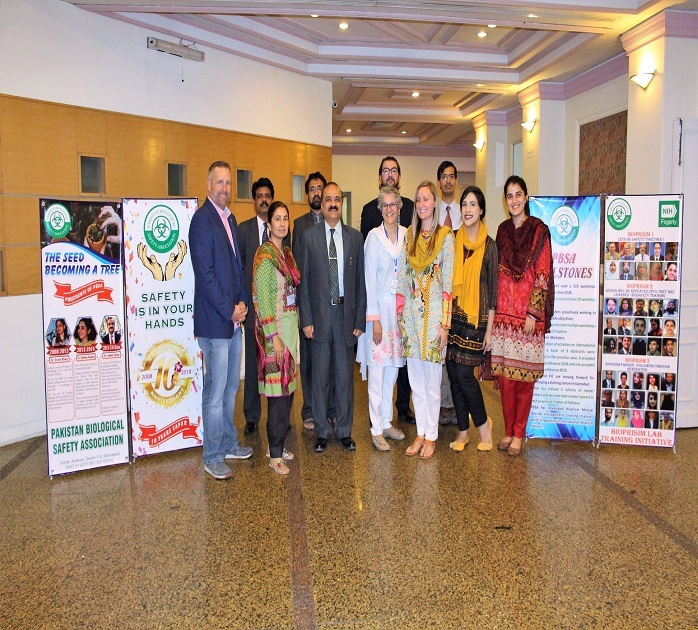 Dr. Aamer Ikram appreciated the efforts of the participants who had been part of the organization; FIC was especially appreciated because of their collaboration and support of PBSA. 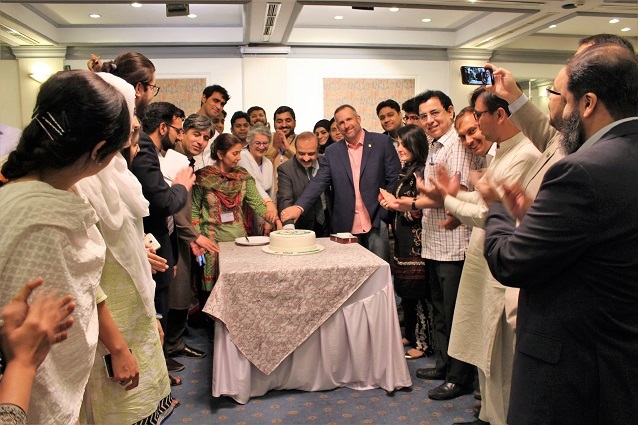 It was deeply appreciated by participants, and is a milestone for PBSA.